It’s a SNOW DAY here in Truro. We’ve had more than 5cm of snow fall so far, with another 10cm and wind expected throughout the day. Because D’Arcy & the kids are in the public school system, they’ve already had a few snow days this year, while I’ve still had to go teach at the College. What a nice treat to wake up this morning and learn that Truro Campus has also closed for the day because of the weather! I emailed my students and crawled back under the covers for a few extra moments of sleep. The kids have obviously learned a few things from living in a Bed & Breakfast for close to ten years – they arrived into our bedroom laden down with a tray filled with hot (tasty!) 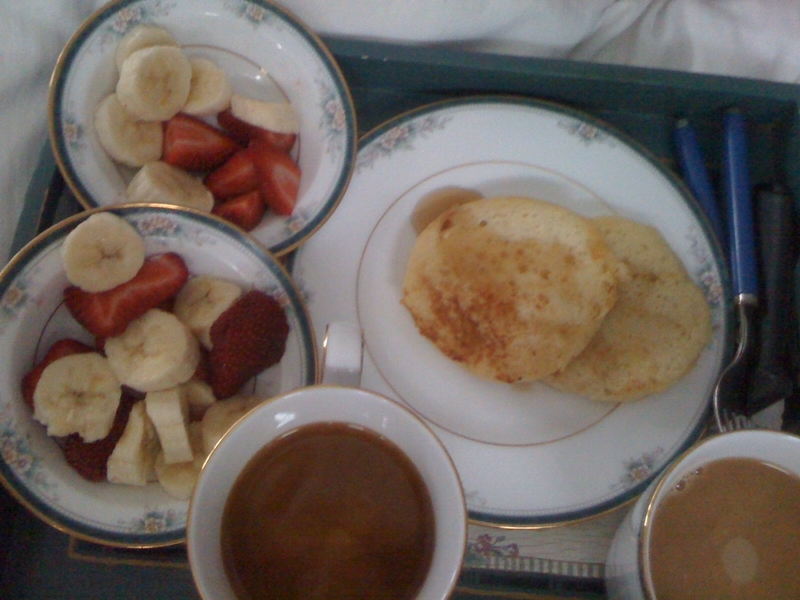 coffee, french toast, syrup, yogurt, and dishes of cut up strawberries & bananas! They even served it on the china! "Snow Day" breakfast in bed - D'Arcy had already taken his plate and dug in! Snow days have their own special feeling. Because you’re never quite sure the night before whether or not school will be cancelled, you still have to make sure you are prepared for the following day. This makes a snow day much more relaxed than a normal “holiday” because everything you accomplish is a bonus! Today’s plans include D’Arcy & my getting caught up on our marking and planning for school, packing Evan’s luggage for his Brazil exchange (he leaves on Thursday! ), and spending some time outside clearing snow and playing. 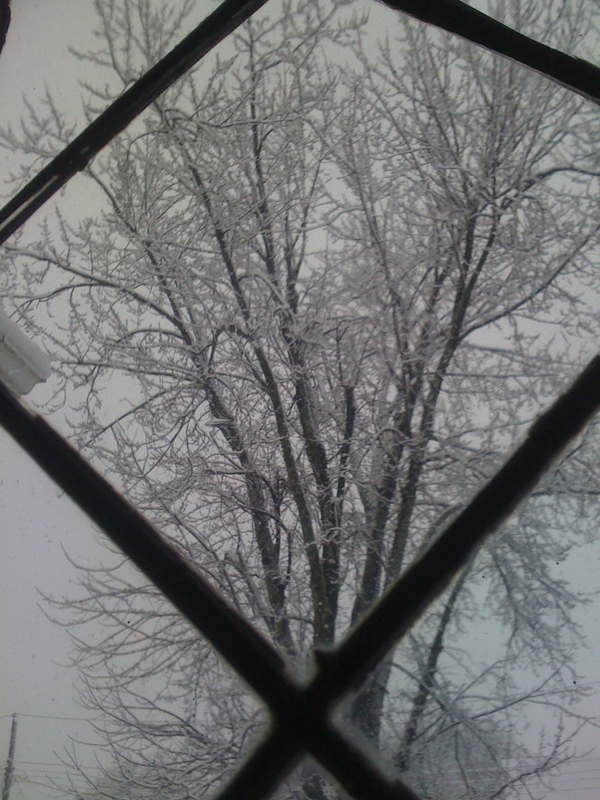 This may very well be the last snow-day of the year, with spring just around the corner! We’ll enjoy it to the best of our ability! 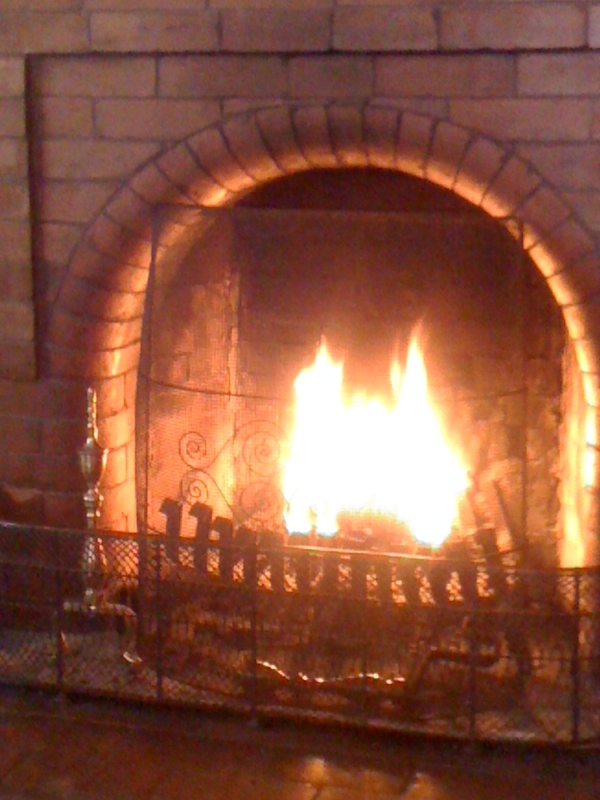 Somehow, doing school work in front of the fireplace just seems so much more enjoyable!